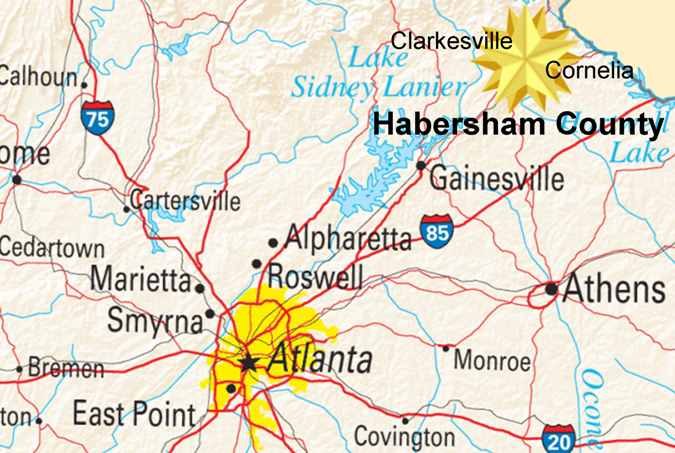 Habersham County is located in the state of Georgia, which is in the southeast corner of the United States of America. Georgia is one of the fastest growing states in the United States primarily due to its warm yet mild climate, its low cost of living, and its access to the Atlantic Ocean through the Ports of Georgia and air travel via Hartsfield-Jackson International Airport. In Georgia, Habersham County is located in northeast Georgia at the foothills of the Appalachian Mountains. It is approximately 90 miles northeast of Atlanta. Approximately 45,000 residents call it home.